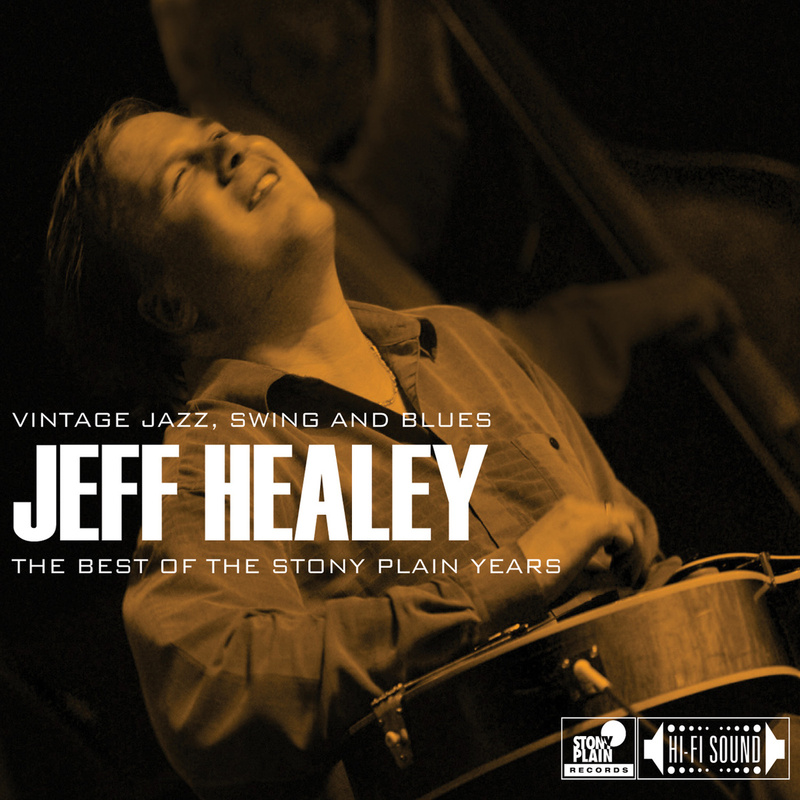 Sub-titled ‘Vintage Jazz, Swing and Blues’, it’s the music that Jeff Healey was always most interested in and was able to record with Stony Plain Records. This compilation collects highlights from those three discs released on that label and is at a most affordable price. Blues highlights include “Guitar Duet Stomp”, wherein he plays both Eddie Lang’s and Lonnie Johnson’s parts (flawlessly, of course) courtesy of overdubbing. Hoagy Carmichael’s “Hong Kong Blues” was also Jeff’s solo CD Last Call and it’s another highlight. “Sweet Georgia Brown” was not used from the live recordings made with English virtuoso trombonist Chris Barber, who went down this swing jazz road several decades before Jeff started performing. I was there at Hugh’s Room that night and I can attest that Mr. Barber was very happy to be there. Two other songs from Mr. Barber’s visit, on It’s Tight Like That, are included here. If you’re only familiar with the electric Jeff Healey, you’ll be amazed and delighted to hear the music on this disc. The web site to follow is www.jeffhealey.com. The Stony Plain Records site has links to Soundcloud and iTunes for streaming audio, available July 17. John's Blues Picks July 2015 - The Bentley Collective "Songs"